A) Where can I set up my integration? 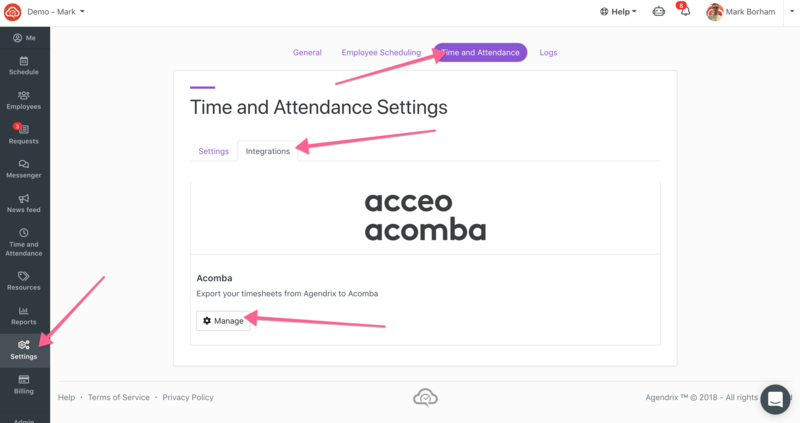 Under the "Time and Attendance" option. 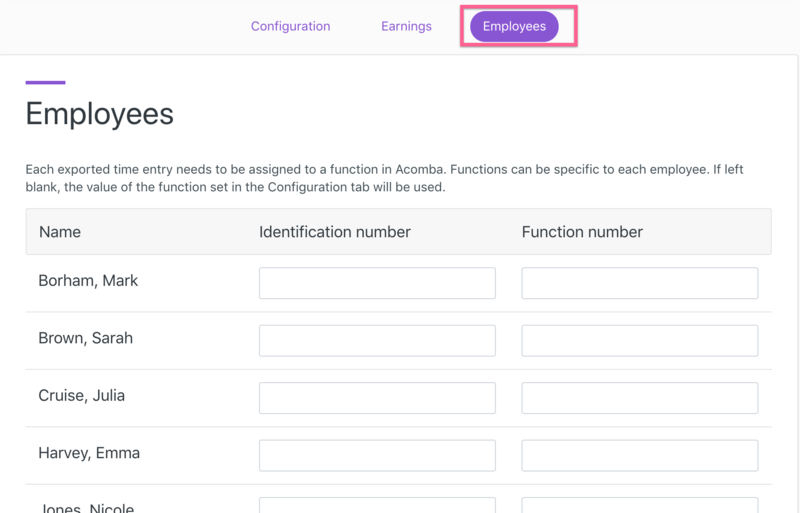 Each employee time entry will be exported to Acomba and will be associated to a function number. It is possible to override this "by default" number per employee in the Employees tab of the integration. 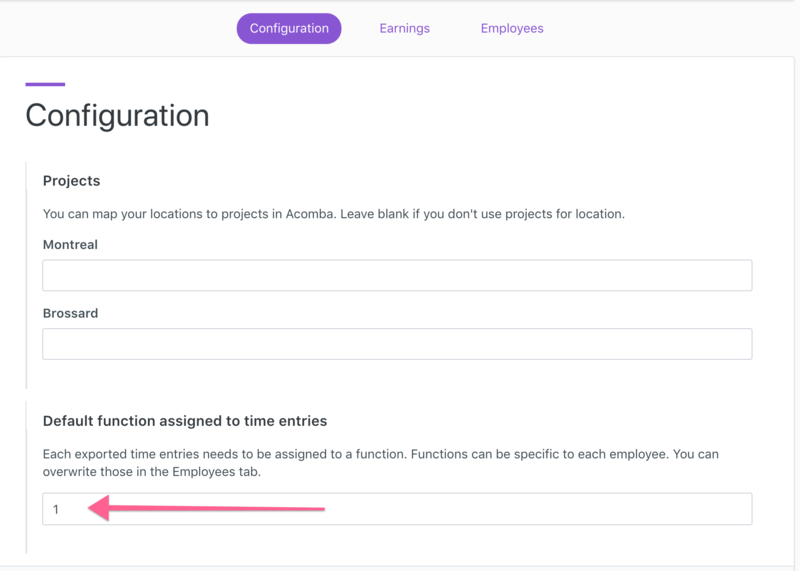 Keep in mind that Agendrix can export the employee hours to a single function number per employee. Acomba projects can be associated to Agendrix "Locations". If you have multiple locations and that they are corresponding to projects, you can add a project number per location. Simply write it in the associated form field. Once done, you are ready to export payroll into the ADX format. 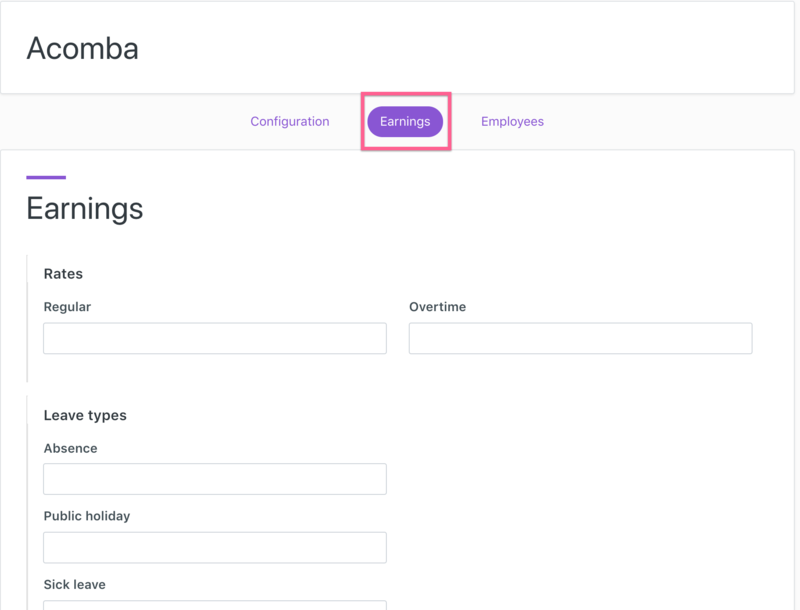 See the following article on How to export payroll into Acomba.